THE MAYBELLINE STORY : Rudolph Valentino's Aspiration, sets the tone for positive thinking. Rudolph Valentino's Aspiration, sets the tone for positive thinking. Rudolph Valentino's Aspiration, still inspires the Williams family to always look up. Here is a picture of my father Bill Williams with his cousin Noel A. standing next to Aspiration. 1930. Roger Noble Burnham. 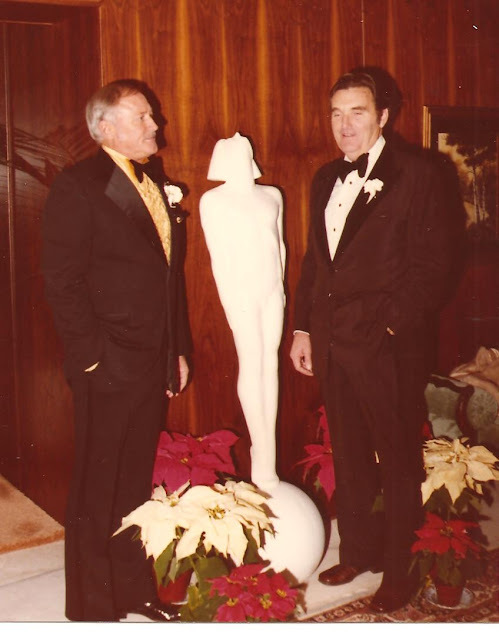 Marble and bronze statue, 36' x 16' x 16. 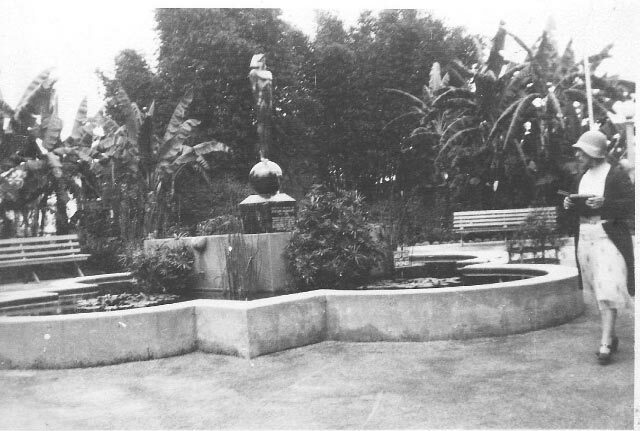 De Longpre Park, 1350 North Cherokee Street, Hollywood, California. Plaque reads: Erected in memory of Rudolph Valentino, 1895-1926. Presented by his friends and admirers from every walk of life in all parts of the world in appreciation of the happiness brought to them by his cinema portrayals. The Villa Valentino, with Aspiration overlooking the pool. Bottom right, Bill, Tom Lyle and Evelyn Williams. 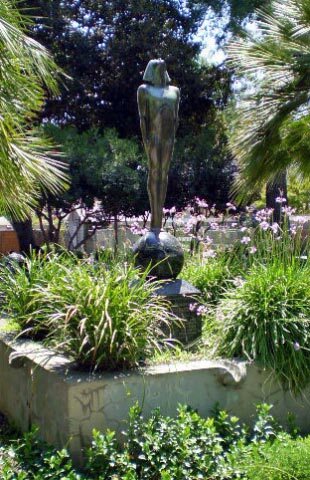 Aspiration at the Villa Valentino, Tom Lyle's home in the Hollywood Hills. I believe Tom Lyle, was a major contributor, paying for the statue to be set in De Longpre Park, in 1930. 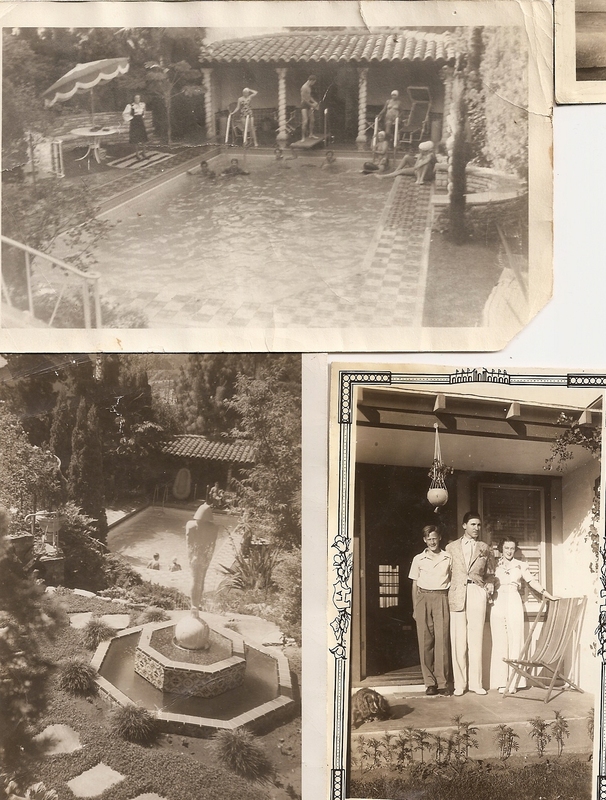 He bought the Villa, placed a copy of Aspiration in a fountain and called his home, The Villa Valentino. Aspiration is still in our family and we love his inspiration to aspire up and never look down.